I keep most of the eating size fish I catch. The only exceptions are large, freshwater fish. They are such a challenge to catch, I feel guilty taking them out of the system. I keep most of the "keepers" I catch because my family eats a lot of fish. It is not uncommon for us to eat several pounds of the stuff a week. We have several recipes that we use. 12 Step fish is our favorite. I call it "12 Step Fish" because it came from a list of recipes that claimed to only take 3 steps. This was a joke. While this recipe is not difficult, it has way more than 3 steps! It is kind of like those recipes that claim they only take 20 min to prepare, but include precooked meat and pre-chopped vegetables in their ingredient list. Anyway, "12 Step Fish" does not actually have 12 steps, it just seems like it. Dredge the fish in flower. 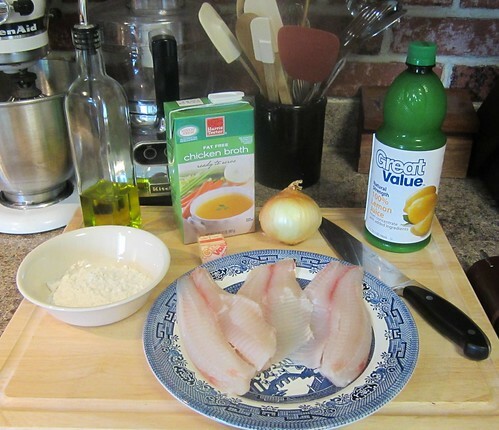 Coat a large skillet or saucepan in olive oil and cook fish over a medium heat. Do not over cook. 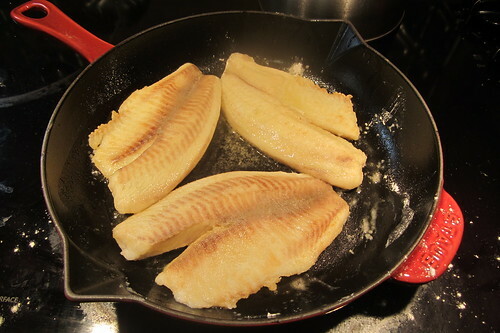 When done, remove fish from pan and set aside. Cover the fish with a towel to keep warm. 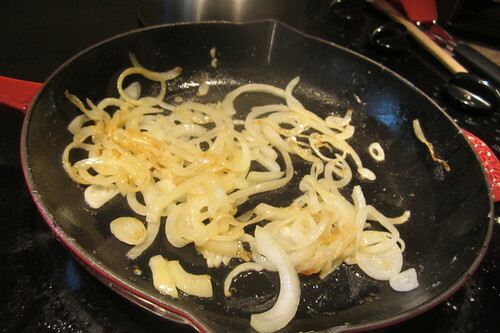 Caramelize the onion in the skillet. You may need to add some more olive oil. Make sure the are good and Caramelized. 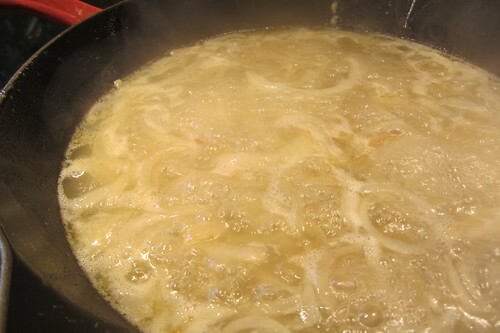 When the onions are done, add the chicken broth and lemon juice. Turn the stove to high and boil the mixture down to a thick sauce, stirring often. 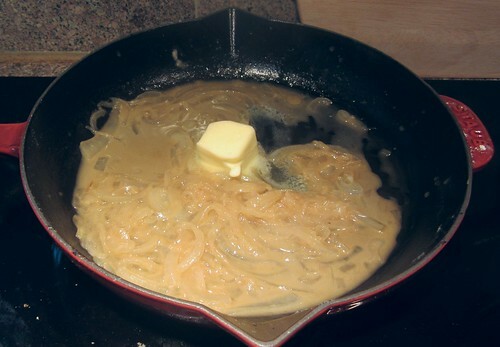 Once you just have a thick sauce, remove the skillet from heat and add the butter. Mix in the butter as it melts. 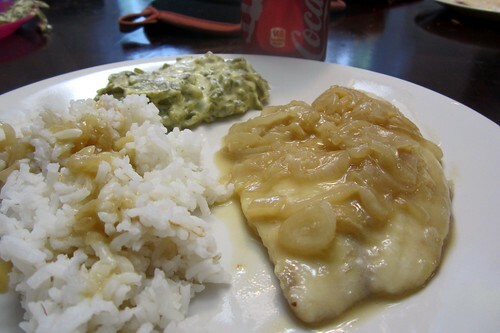 Pour the sauce over the fish and serve. I like to eat it with sticky white rice and a green vegetable. Asparagus goes especially well with it.